The second roundtable on emergency preparedness and response around the nuclear power plant Temelin has taken place on September 27th in the Czech Republic. Answer from Environmental Ministry Austria. Answer from Czech Nuclear Safety Office SUJB and Czech Interior Ministry. The process engaged by NTW to gather information all around Europe about EP-R together with civil society and concerned institutions goes on. Following roundtables will take place in Slovenia, Ukraine and Belgium in the coming months. The second round-table on emergency preparedness and response around NPP Temelin in the Czech Republic will take place on September, 27th. Which concrete measures are planned? How are transboundary impacts taken into account? Is the public well informed about the situation and well prepared? All these questions will be tackled during this day. The second meeting of the working group on emergency preparedness and response (EP-R) has taken place in Brussels, on June, 9th and 10th. 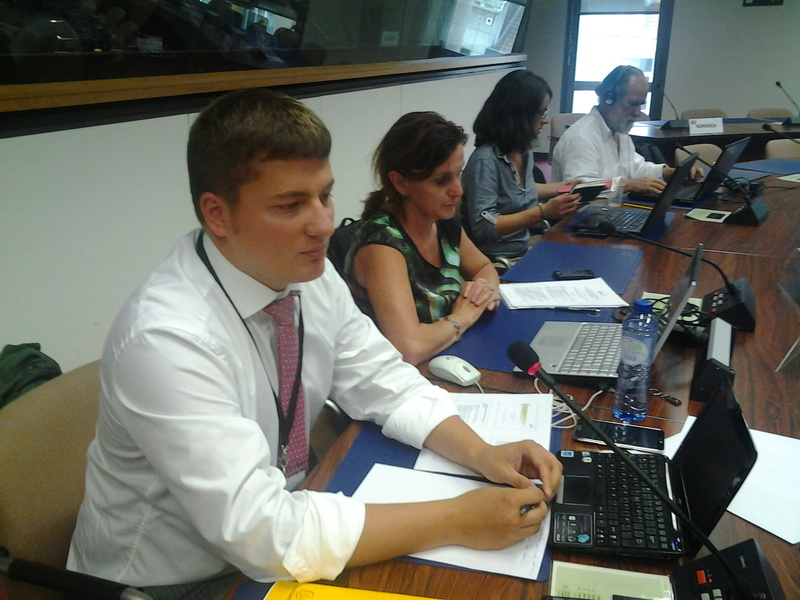 On the agenda: the methodology of data collection on EP-R and reports on preparatory activities country by country. Download the methodology and the presentations of our members in France, Ukraine and Slovenia. To involve more actively local civil initiatives and independent experts, the Emergency Preparedness & Response (EP&R) working group has developed a common methodology on the assessment of EP&R measures in European countries and organised a Europe wide series of round tables on EP&R, involving local stakeholders and actors from neighbouring countries in order to cover the cross-border aspects of EP&R. “What if the nuclear power plant Cattenom will explode today? I) Nuclear Emergency Preparedness and Response – Anything learned from Fukushima? 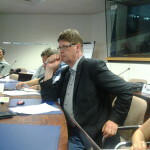 Why an Aarhus Round Table on EP&R? 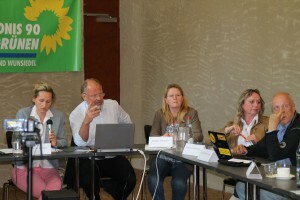 (EN) – Brigitte Artmann Greens Fichtelgebirge/ German member of NTW (Presentation is coming). First victory for the Aarhus hotline of NTW! The European Commission allows us to access to its study on Emergency Preparedness and Response that was not published before the request we sent two months ago. To have more information on this study named “Review of Current Off-site Nuclear Emergency Preparedness and Response Arrangements in EU Member States and Neighbouring Countries” and to read the request we address to the European Commission in March 2014, click here. To download the final report “Review of Current Off-site Nuclear Emergency Preparedness and Response Arrangements in EU Member States and Neighbouring Countries” commissioned by the European Commission on Emergency Preparedness and Response, click here. DG ENER commissioned in 2013 a study with the title “Review of current off-site nuclear emergency preparedness and response arrangements in EU member states and neighbouring countries”. Study was prepared by consortium ENCO (Austria) and UJV (CzechR). Make recommendations on potential areas for improvement. This study was conducted in 28 EU countries, plus Norway, Russian federation, Switzerland, Ukraine and Armenia. GS-R-2: Preparedness and response for a nuclear or radiological emergency, 2002. Council Directive laying down basic safety standards for the protection of the health of workers and the general public against the dangers arising from ionizing radiation, 96/29/Euratom, 1996. Council Directive on informing the general public about health protection measures to be applied and steps to be taken in the event of a radiological emergency, 89/618/Euratom, 1989. Council Regulation laying down maximum permitted levels of radioactive contamination of foodstuffs and of feeding-stuffs following a nuclear accident or any other case of radiological emergency, 3954/87/Euratom, 1987, as amended by Council Regulation 2218/89/Euratom, 1989. Collection of information on future improvements (questionnaire and discussion). The aim of this new request is the access to this study commissioned by the European Commission on Emergency Preparedness, which had not been published. We received a reply from the European Commission. In its letter, EC inform us that they have received the results of the study and they will publish it shortly. One day after, we finally succeed to access to the final report “Review of Current Off-site Nuclear Emergency Preparedness and Response Arrangements in EU Member States and Neighbouring Countries” that you can now download and watch here! Download the letter adressed by NTW to Mr. Oettinger, the European Commissionner for energy concerning the access to an European Commission study on Emergency Preparedness and Response. 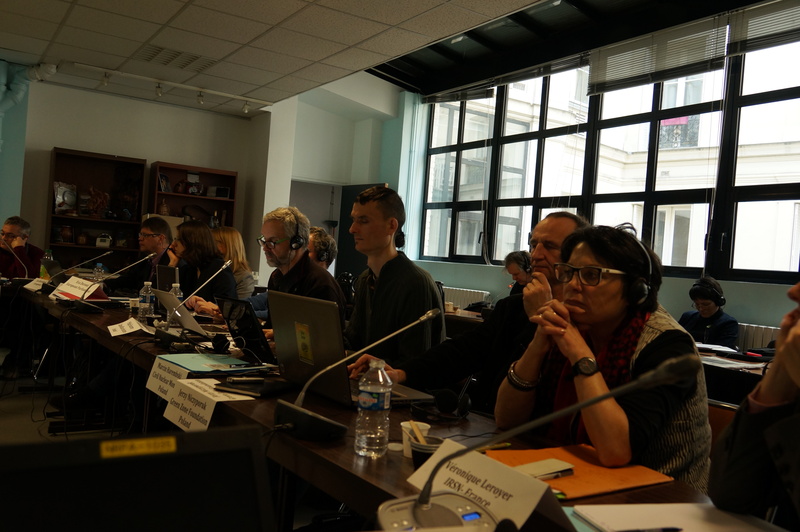 On February 6th & 7th last Nuclear Transparency Watch (NTW) held an inception seminar of its Working Group on Emergency Preparedness & Response (EP&R) in Paris. The participants, drawn from a wide spectrum of nuclear-related official bodies and NGOs, discussed the current situation regarding EP&R in Europe following the lessons learned from evaluation of the Fukushima nuclear accident three years ago. An action plan of the Working Group’s activities for 2014 was agreed. In the course of the seminar NTW learned of an important study on EP&R in EU Member States and some third countries commissioned by DG ENER in 2012. According to our information the study entitled “Review of current off-site nuclear emergency preparedness and response arrangements in EU member states and neighbouring countries” has been completed recently. Given the goals and objectives of this study the members of the NTW Working Group are very eager to have full access to the study and to use its results in their work. This would make a substantial contribution to the activities of the Working Group that aims to improve the level of EP&R in Europe through increased engagement of civil society. Nuclear Transparency Watch has been informed that the European Commission does not intend to make the study available to the public but rather to integrate its results into a Communication to be published before summer this year. NTW believes that is in best interest of EU citizens, the European institutions and the nuclear sector to make the study publicly and fully available as soon as possible, including the questionnaires and any other ancillary material. Access to the study would permit feedback to civil society on its results and enable evaluation beyond the self-assessments of the authorities involved. It would help civil society to contribute to the improvement and harmonisation of EP&R provisions and arrangements and enhance the management of transboundary activities in the nuclear sector. Aarhus Convention (Article 4 on Access to Information) to which the European Commission is a Party. February 6th and 7th in Paris. 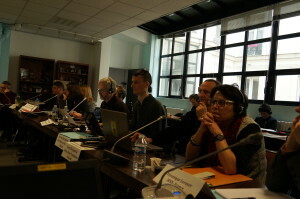 On February 6th & 7th 2014 Nuclear Transparency Watch (NTW) held an inception seminar of its Working Group on Emergency Preparedness & Response (EP&R) in Paris. 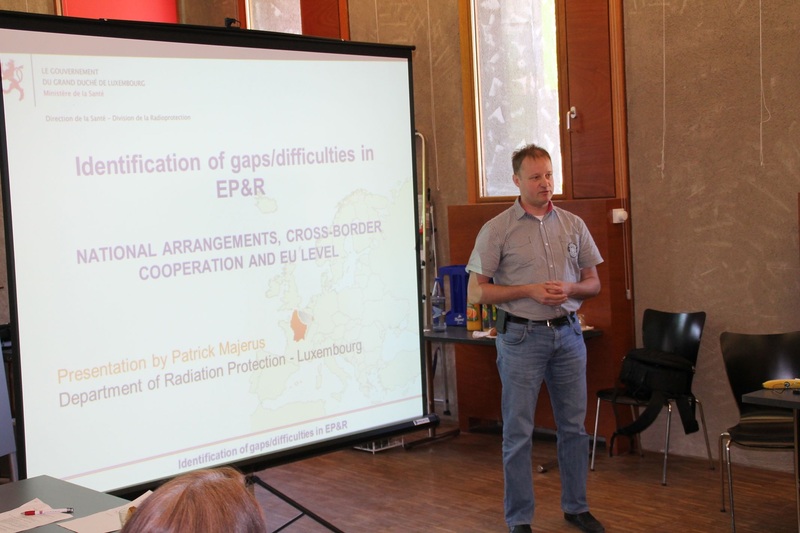 The participants, drawn from a wide spectrum of nuclear-related official bodies and NGOs, discussed the current situation regarding EP&R in Europe following the lessons learned from evaluation of the Fukushima nuclear accident three years ago. Many critical facts and arguments were brought against the current top-down and non-inclusive predominant approach and claims for more active involvement of both local civil initiatives and independent experts were raised. An action plan of the Working Group’s activities for 2014 was agreed. It contains a critical assessment of recently completed EC commissioned study “Review of current off-site nuclear emergency preparedness and response arrangements in EU member states and neighbouring countries”, development and application of a common methodology on assessment of EP&R in European countries and organisation of an Europe wide series of round tables on EP&R, involving local stakeholders and actors from neighbouring countries in order to also cover the cross-border aspects of EP&R. The minutes of this inception seminar will be available in March on NTW website. Read the minutes of the seminar. Following the December 2012 MEPs call from different political parties on December 2012, “Nuclear transparency Watch” (NTW), the European network for civil society vigilance on nuclear safety and transparency has been created on November 7th and is chaired by MEP Michèle RIVASI. The ambition of NTW is now to engage and contribute to all aspects of nuclear safety in order to provide an essential counter-expertise in this domain as well as in the protection of human health and environment. Today, NTW gathers many Civil Society Organisations together with local elected representatives and MEPs, from Belgium, Bulgaria, Czech Republic, France, Germany, Hungary, Ireland, Luxemburg, Ukraine, Sweden and Slovenia. The question of Nuclear Emergency Preparedness and Response is a priority issue for NTW in the post-Fukushima context. This question has not been taken on board of the European nuclear stress tests. However, Civil Society Organisations have requested this issue to be dealt with by EU institutions during the ENSREG Public meetings (see Public Meeting, 8 May 2012, Post-Fukushima stress tests Peer Review, ENSREG, Brussels). It is now on the agenda of European and National Institutions and will be dealt with in the coming years. 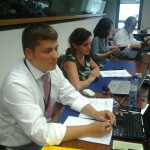 A review of existing Nuclear Emergency Preparedness and Response arrangements in the EU member states is currently being performed under the auspices of DG ENER (“Review of current off-Site nuclear emergency preparedness and response arrangements in EU member states and Neighbouring countries ENER/D1/2012-474”). The contribution of civil society is to play a essential role in off-site management of nuclear emergency and post-emergency. 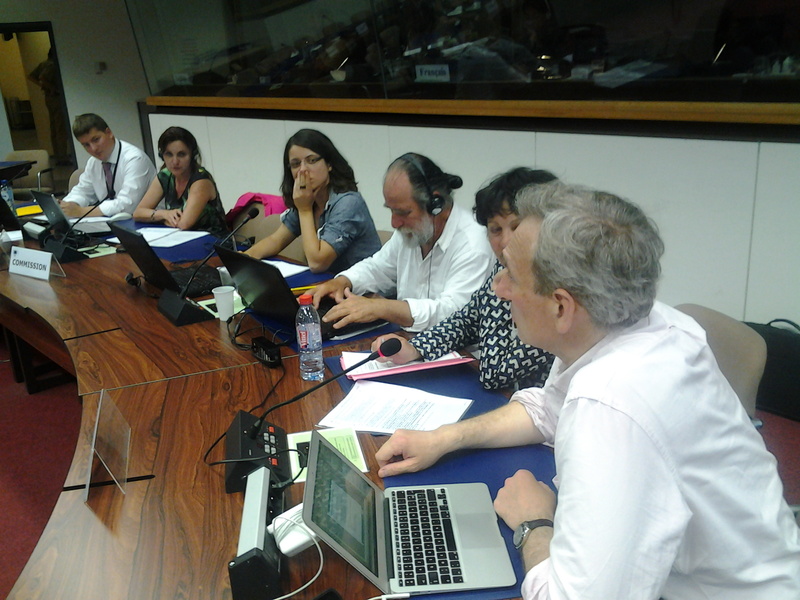 An ad-hoc working group was created on Emergency Preparedness & Response (WG EP&R) with the view to carry an evaluation of existing European and national EP&R provisions and to produce conclusions by mid 2014. The first meeting of the thematic NTW Working Group on “Nuclear Emergency Preparedness and Response” (EP&R WG) was held on November 7th 2013 in Brussels. The WG is gathering information and reviewing existing EP&R arrangements. 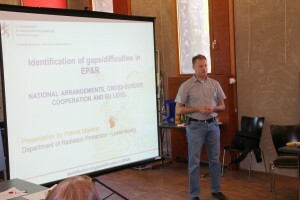 It is also seeking for cooperation with experts on nuclear emergency and post-emergency management. It is foreseen that the first results of this work will be released and discussed in the framework of an Aarhus & Nuclear European Roundtable to be held in spring 2014. 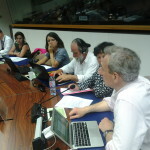 ¡ Support from EP&R WG: inception seminar, methodological and strategic advice, issuing of guidelines for national investigations, participation of NTW members to ACN roundtables. This seminar is a non-public event of 2 days with the objectives of training EP&R WG members and to identify the most problematic aspects of the existing provisions for nuclear emergency management in Europe. It will present a review of EP&R provisions on the basis of available surveys performed at the European level, notably in the perspective of the main challenges identified in the management of the Fukushima emergency. Hearing of key actors involved in Emergency management in Europe will be performed (public authorities, DG ENER, international organisations, experts, CSOs). 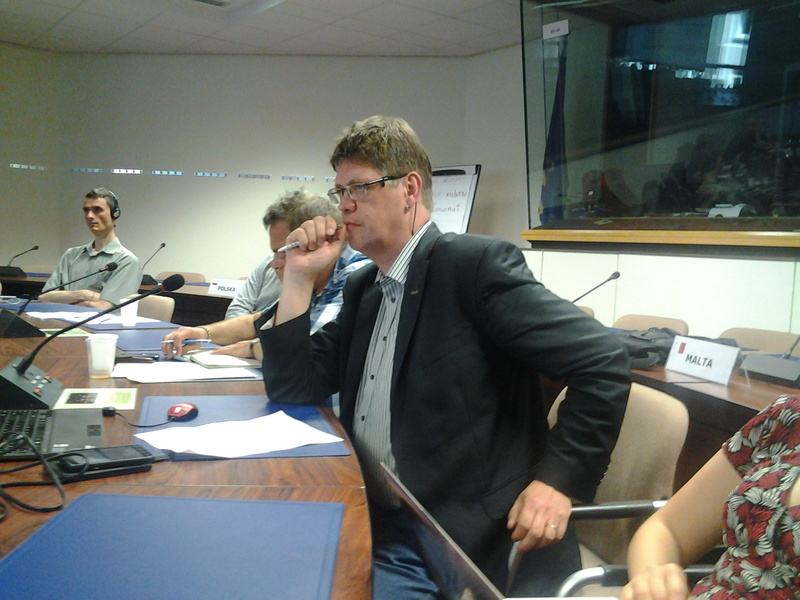 The seminar will frame the EP&R WG investigations at the European level, selecting key issues of European relevance. A list of key priorities will be performed in order to frame the WG investigations to be performed at national and European levels. It is also foreseen that the seminar will be an opportunity to identifying NTW countries where investigations could be initiated early 2014. Download the EP&R inception seminar agenda.